Ringberg 2018 is the fourth of a series of workshops organized at Ringberg under the auspices of the World Climate Research Programmes (WCRP) Grand Science Challenge on Clouds, Circulation and Climate Sensitivity and with the support of the Max Planck Institute for Meteorology in Hamburg, Germany and the Deutsche Forschungsgemeinschaft (DFG). 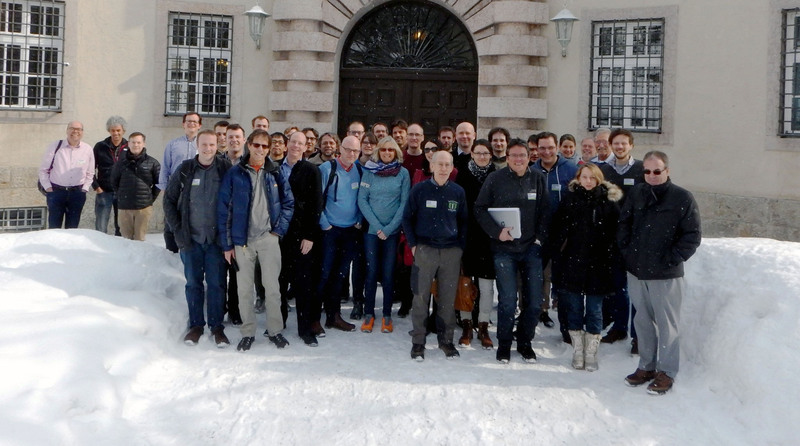 The aim of Ringberg 2018 is to revisit our understanding of aerosol effective radiative forcing, and to explore the physical hypotheses thought to exclude, or make unlikely, aerosol forcings exceeding a certain magnitude. For instance what are the arguments that make an aerosol forcing less negative than -1.5 (W/m^2) or a positive radiative forcing unlikely. Given the complexity of the aerosol, and its modes of interaction with the Earth System the workshop will focus on what we believe is likely, or unlikely, rather than attempting to quantify statements that incorporate a broader likelyhood interval. The workshop will be organized — also through small breakout sessions — to advance discussion of specific ideas, particularly theses developed and submitted by participants before the meeting. Toward this end participants are invited to submit an up to 2 pages list of thesis underpinning their arguments why the aerosol effective radiative forcing is likely/unlikely aerosol to exceed a bound of their choice.